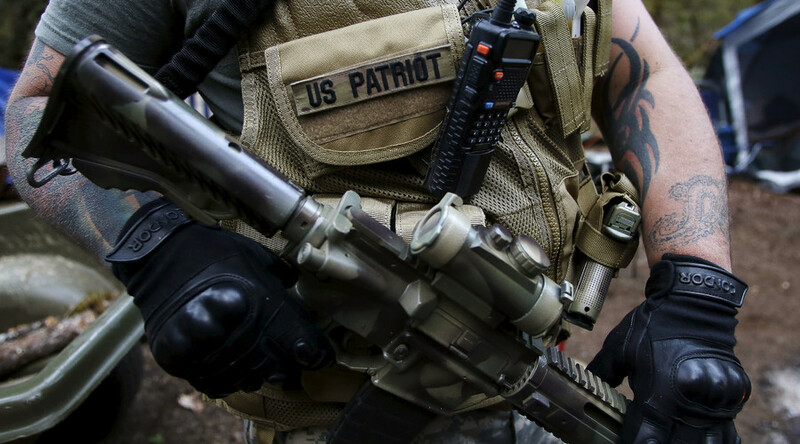 The 2nd Amendment of the United States Constitution has at long last achieved its purpose as a group of armed militiamen have occupied a federal wildlife reserve in Oregon. The group invaded the facility to protest the jailing of arsonists for the crime of arson. The ranchers insist that the only crime they committed was lighting a controlled fire on their own property that spread uncontrollably onto government land. Heaven’s local paper, The Good News, is reporting that Thomas Jefferson performed a jig upon learning of the news. “When we drafted the 2nd amendment, this is exactly the contingency we were preparing for,” Mr Jefferson told the paper. The militia has indicated that they’re willing to kill and be killed, intending to stay at the wildlife reserve ‘for years’. This is the first time anyone has wanted to be at a wildlife reserve for longer than 45 minutes. Concerns have been raised that the militia has benefitted from a double standard exercised by a media that provides anodyne coverage of violent white groups while being more critical of peaceful protests organised by people of colour. The (un)Australian would like to stress its commitment to fair and balanced coverage, whether we’re covering freedom fighting heroes like this militia, or black terrorists. Matthew Farthing is the U.S. Reporter for the (un)Australian. He becomes smug whenever the US experience a gun tragedy, which is much worse than the actual tragedy.